From the foreword: For half a century I had the task of recording, for the interest of Biggleswade residents, the day to day events in the town and district. An outbreak of fire, whether in an industrial establishment or a domestic dwelling, was "news", and the bigger the blaze, the greater the news story. There was no Biggleswade Chronicle to record the dramatic events arising from the great fire of 1785, but present day historians, with painstaking efforts, and with due regard for historical fact, have pieced together a fascinating account of a devastating occurrence which changed the geographical character of the centre of Biggleswade. This account of the fire, and historical notes relative to that period in the town's history, form a record which many will read with absorbing interest, while future historians will acknowledge their indebtedness to all those who have been responsible for this bicentennial commemorative booklet. 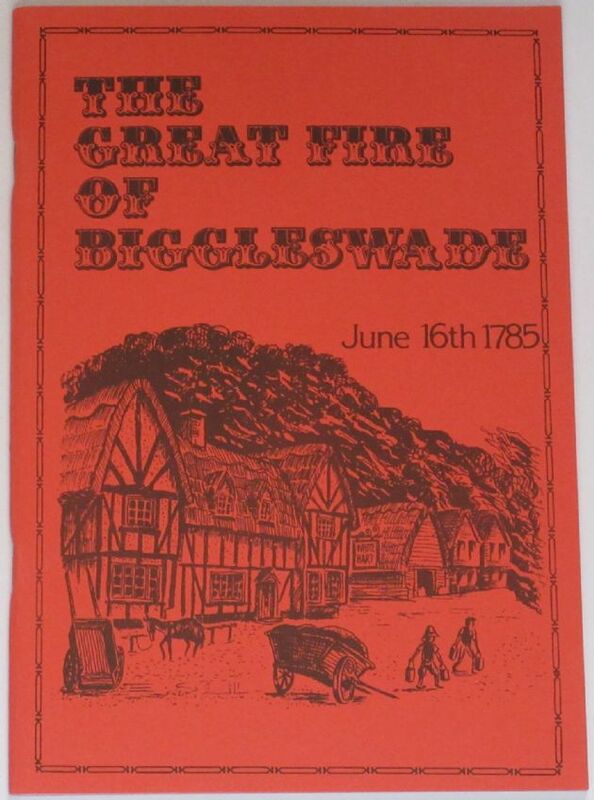 From the introduction: This is Biggleswade History Society's first publication since it was formed in 1975 to promote interest in the History of this ancient Market Town. Harold Smith has written the story of the Great Fire which forms the first part. Then follow contemporary and later accounts with details extracts from the Manor Court Records researched by Ken Page and Rex Skinner.... and finally Bernard Newman provides background information on the fighting of fires with particular reference to Biggleswade Fire Brigade from 1874 to the present day. Ray Aggett drew the sketches and use was made of original documents, maps and drawings. Condition of the booklet is generally excellent. The covers are clean and bright, the staple spine is intact, and all pages are clean, intact, unblemished and tightly bound.